Prevent Identity Theft - Data Destruction is Essential. Recently bought a new Laptop, PC, Printer, or any other electronic equipment that stores data? What happened to the old one? Did you put it in the Trashcan? People can steal your identity and used it against you. If confidential data gets into the wrong hands, it can lead to lost customers and loss of revenue. If you’re not using a secure destruction method, your business is at risk. Bad news: Not so easy to erase sensitive information. Wiping the software only covers up the data with more data that can be recovered. The Hard drive that is built into our Computers was invented in the 20th century. Many people, who own computers, have never seen a hard drive. The 1st Hard disk drive (HDD) was the size of two medium fridges and weighed one ton. It had a storage capacity of 3.75 megabytes (the store equivalent of one digital photo in today’s terms. The latest technology in Laptops and PC’s are the more compact SSD (Solid State Drive). Also used in mobile devices. Businesses are sensibly moving increasingly toward cloud storage, introduced by Amazon, as an additional secure and accessible way of keeping data. SBC Recycle is proud to offer 100% Guaranteed Physical Data Destruction for your Company. 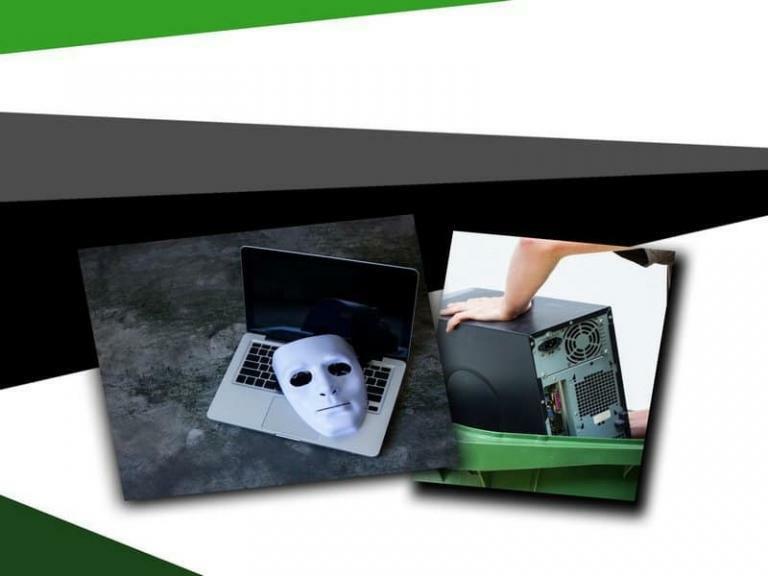 We are a Complete Secure E-waste Solution and offer Secure Data Destruction. Safeguarding confidential information is crucial for all companies in our current perilous and insecure digital landscape. We currently serve vast Fortune 500 to small businesses. We are HIPPA compliant which is required by government agencies, healthcare organizations, financial institutions. We offer onsite and offsite data destruction. We also offer data wiping with industry standard commercial wiping software.